If you are being forced to consider putting a dog down, we can help you. This impossible set of circumstances is easier to cope with when you have all of the information at hand. Before we carry out any pet euthanasia treatment we always start with a quality of life consultation. This way, you always know and can understand how much your pet is suffering - because with some animals, particularly cats, it can be difficult to tell. Putting a cat to sleep or putting a dog down can be, for them, a gentle release from pain and suffering. And we do everything we can to make sure of that - firstly, by sending one of our supportive Mobile Vets to care for them at home. This removes the need for you to force them to travel while they're already in pain and suffering. It also means they can be comfortable throughout, staying relaxed in the environment in which they've known all the love in their lives. You will most likely have a lot of questions, both regarding the process we use - which is completely painless - and the cost of putting a dog to sleep, as well as many more. Please do not hesitate to get in touch with us whenever it is convenient. We are as used to talking about cat euthanasia costs as we are about the way you are feeling about the situation. So you can count on us for both an understanding ear as well as more details about the practicalities of dog euthanasia costs, for example. You can rely on us for gentle and caring in-home pet euthanasia for animals of all kinds. Animals display pain in ways which are completely different to humans. Cats, for example, will take huge steps to hide suffering which would leave a human crying in agony. It is for this reason why, when you call on us for pet pain relief, we will always start by proving an in-house quality of life assessment. 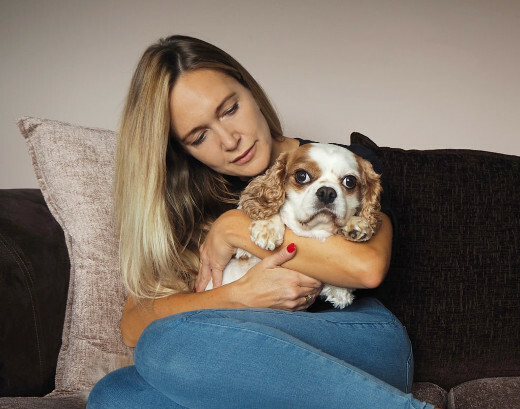 This assessment, performed by one of our friendly Mobile Vets, will let you know exactly how your pet is feeling - and what can be done to give them an easier time of it. Although we do offer a wide range of pain relief for dogs in the form of various medications, and we also prescribe high-quality pain relief for cats, the recommendations we make during treatment will also include lifestyle changes. This can mean a greater or reduced amount of exercise, changes in diet, and much more. In this way, you know you are getting wholesome pet pain relief which is going to consider every aspect of their lives. By performing this assessment in the home in which they live - i.e. yours! - all environmental factors can be considered too. 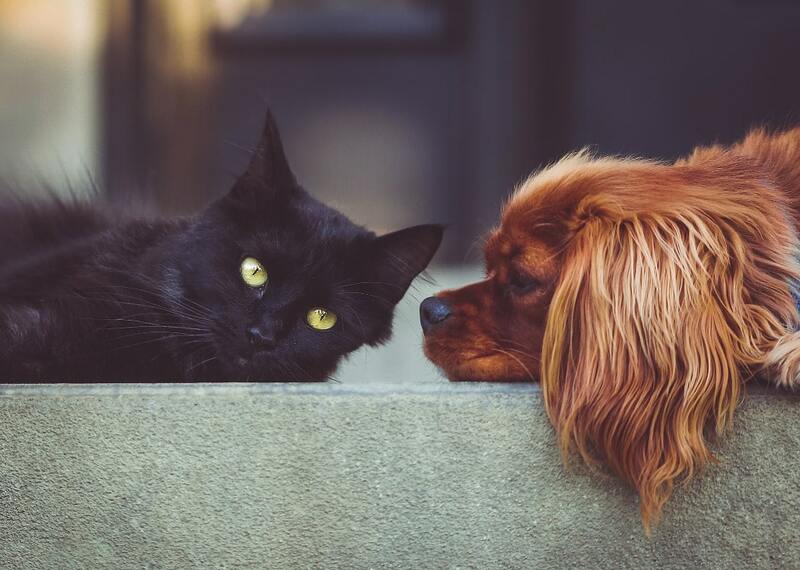 If you have questions about which is the right kind of pain relief for your cats or dogs, please do get in touch with us. We are always happy to discuss the situation with you, arranging for one of our helpful team come and chat with you in person and meet your pet at a time when it is not going to be stressful for them or anything other than completely convenient for you. After you have been forced to make the achingly personal decision to put down your ailing pet, wondering what to do next can be extremely difficult. But there is no need to worry - you can also rely on us to take care of your pet after euthanasia has been performed. We have a nearby pet chapel of rest, which is also an accredited facility where we provide pet cremation. The chapel itself is a very peaceful building with lovely grounds. Many people choose to spread the ashes of their adored companion here after animal cremation has taken place. If you feel that more information would make the entire process easier, we are happy to talk to you at any time. Whether that is about the practical aspects such as pet cremation costs, or when you just need to talk to someone about what has happened. At our chapel, we can provide dog cremation and cat cremation in both solo and group ceremonies. Solo pet cremation ceremonies allow us to return your pet's ashes to you for spreading elsewhere, while we hold group ash spreading ceremonies in the restful grounds of the chapel itself. Many people say that one of the steps in the grieving process is deciding how to remember the animal members of your family who have passed on. We can help you with that too. As animal lovers who have faced bereavement in the past ourselves, we have chosen a small selection of pet memorials - stones, headstones, containers, and several others - which we hope will meet your needs. You might have already chosen the special place where you want to memorialise your pet. Or you might not even have gotten that far yet. But when the time comes to talk to about pet memorials, we are here to discuss anything which you might want to. The grieving process works differently for different individuals. So you might find yourself keen to deal with the practicalities, or currently unable to face them. There is no rush and no hurry. Simply speak to us when you are ready to handle them. We are on the phone, ready to help you in Watford.